At Biodecus Health & Beauty, we are all about skin and bringing an understanding to our clients about their skin. 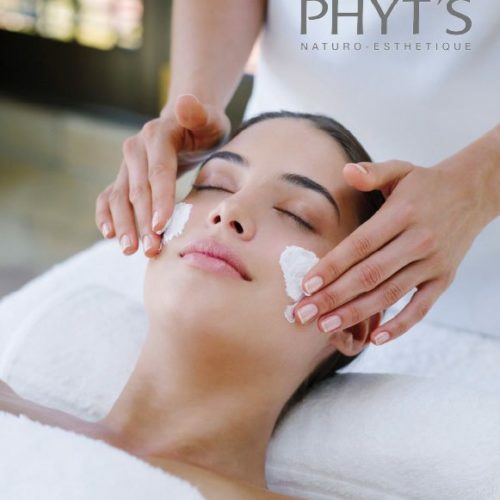 PHYT’S Facial Treatments are results driven to normalise and improve every skin, as well as being entirely relaxing for body and mind. 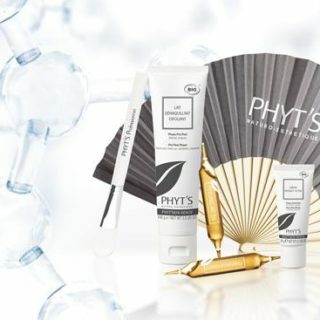 On booking a PHYT’S facial treatment, your PHYT’S Skin therapist will cleanse and analysis your skin type and condition, tailoring the treatment to what your skin specifically needs. The treatments use purely plant based ingredients, rich in natural antioxidants and phytonutrients, rather than synthetics to achieve the desired results. 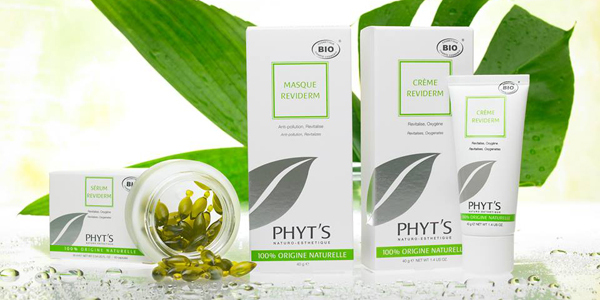 For all those who lead a hectic life and whose skin is under daily attack, the Laboratoires Phyt’s has created the Reviderm range, a genuine breath of fresh air. Enriched with Chlorophyll, a revitalising source of life, oxygenating active ingredients and cell renewal stimulants, as well as powerful antioxidants, this range rejuvenates the skin, stimulates radiance and targets the first signs of ageing. The skin breathes. It feels less tired, energised and visibly stronger for an even more radiant complexion. An introduction to our organic facials for hydration, glow and freshness. Suitable for all skin types . Deep cleansing facial to specifically to target a problem skin with blackheads, excess oil & / or breakouts. Copper (antibacterial mineral) neutralises bacterial activity. Its effect lasts for several days within the skin. Skin hydration is normalised with potassium & blackheads are easily removed. Camphor & Mint calm the skin when bathed in a cool cream mask. The skin is relieved of any redness. Healing; reduces blackheads, breakout & infection with salon & home care. Tailored to your own skin type, this skin treatment uses a variety of minerals, hydrating and nourishing oils with plant extracts to answer any problems that your skin may encounter: such as sensitivity , dryness or dehydration. A combination of cleansing, exfoliation, serum and customised massage adapted to your needs. Finishing with a mask and pressure points leaving your skin supple and radiant again. Targets any skin affected by dehydration. Hyaluronic acid is a powerful humectant which acts like a sponge to attract & hold moisture in the skin while plumping and reducing fine lines. The skin is relieved with better effect from home care regime as the hydrolipidic film is restored. 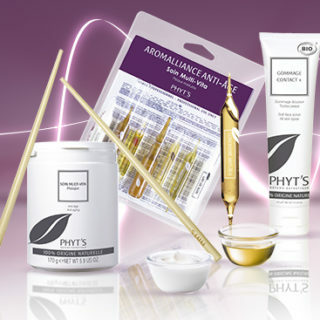 A specific anti-ageing treatment for to boost, plump, nourish and firm the skin. 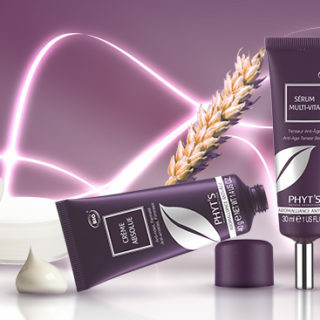 Experience the ultimate PHYT’S anti-ageing properties with its 21 amino acids, Horsetail and Cinnamon. 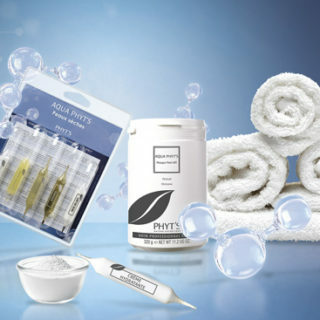 PHYT’S Revitalising massage is performed to encourage drainage and stimulate the connective tissue. Skin is smooth, youthful and alive. A Glycolic Treatment and Home care Program to improve cellular renewal and rapidly exfoliate (“peeling” is often talked about in the media) the skin to reveal radiant, smooth, even toned and youthful skin. The perfect facial treatment if the skin is dull, lifeless, thickened, pigmented / sun damaged or beginning to age more obviously. Sugar Cane is used in treatment at 30% for the best results, and there is no downtime, just complexion perfection. The home care products use glycolic, aloe vera, hyaluronic acid, apricot oil and shea butter to renew, refresh and protect. SPF 30 or higher is a MUST with this treatment. Recommended between September and March to avoid long days and excess UV in the summer months.